Adelaide Food Central was recently invited to attend the newly opened Sushi Planet Modbury. 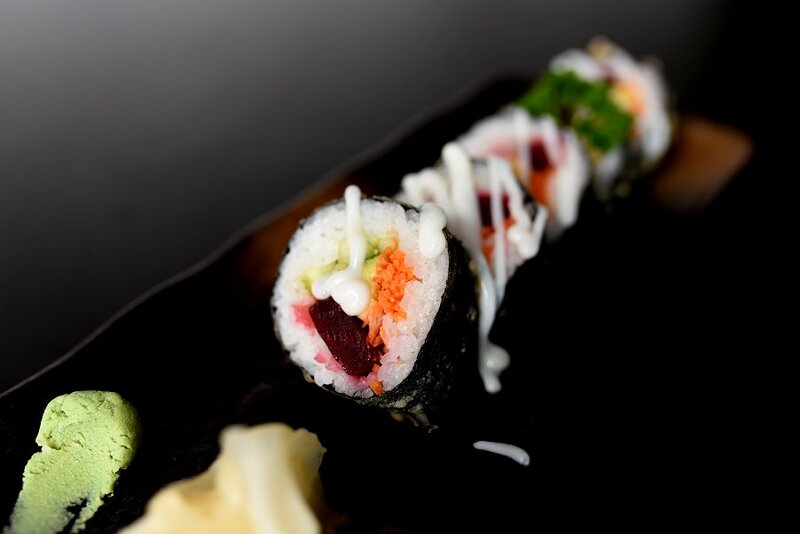 Sushi Planet aims to make the best sushi and yakitori, giving every customer a special dining experience with friendly service and great value. We started off our Japanese adventure with the traditional sushi rolls. We sampled the cooked Tuna and Avocado roll, Teriyaki Chicken Roll, Shrimp Roll with Mango, Shrimp Roll with Avocado, Aburi Salmon Roll, Kingfish Roll and the Vegetable Tempura Roll. The Tuna and Avocado Roll included beautiful creamy avocado and rich cooked tuna salad and then rolled in fish roe. Cooked tuna rolls have always been a favourite of mine and the way the chef made this sushi was of high quality. The simple combination of the tuna and avocado created a traditional sushi taste that every individual would enjoy. A highlight dish of the day was the Shrimp Roll with Mango, breaded shrimp with miso aioli sauce and topped with mango. 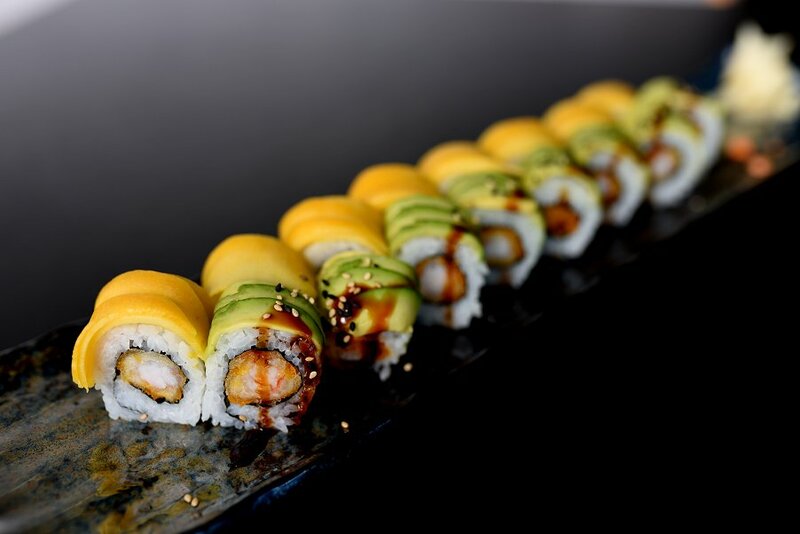 We absolutely loved how the chef incorporated the sweet mango into the roll. I was a little hesitant to try a sweet flavour in a sushi roll but the crispy, breaded shrimp paired well with the smooth mango. Another interesting dish was the Vegetable Tempura Roll with carrot, cucumber, beetroot and avocado fried in tempura butter. It is commonly known that some vegan dishes lack flavour and excitement, but this sushi roll was the complete opposite. The light tempura batter that surrounded the roll added a slight crunch, which helped to give the roll an interesting element. The fresh and colourful vegetables inside the roll were not only flavoursome but also had a great crunch. 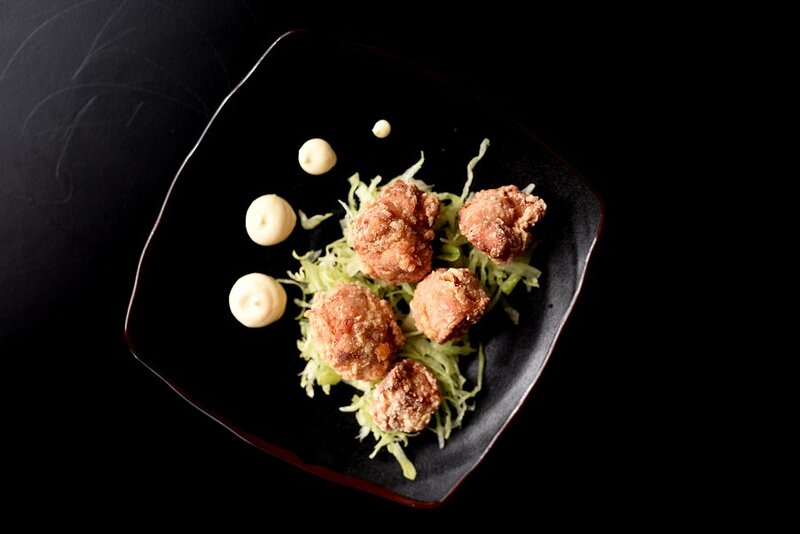 Everyone knows that the Japanese can deep fry chicken and Sushi Planet helped to maintain these high standards with their Chicken Karaage. It was fantastic to see that the product used was good quality, as sometimes-fried chicken can taste quite fake. The chicken had been cooked to perfection and was crispy, crunchy and fabulous. One of my favourite Japanese foods is sashimi, so it was vital that we ordered the Sashimi Deluxe. This came with an assortment of salmon, tuna, kingfish, scallop, and tamagoyaki sashimi. When sashimi is not fresh it can be quite unpleasant to eat and sometimes off putting. It was safe to say that this sashimi was one of the freshest that I had tasted. As it was all served on ice the subtle flavours of the sashimi were also very crisp. The next type of sushi we tried was the Prawn, Salmon and Scallop Nigiri. 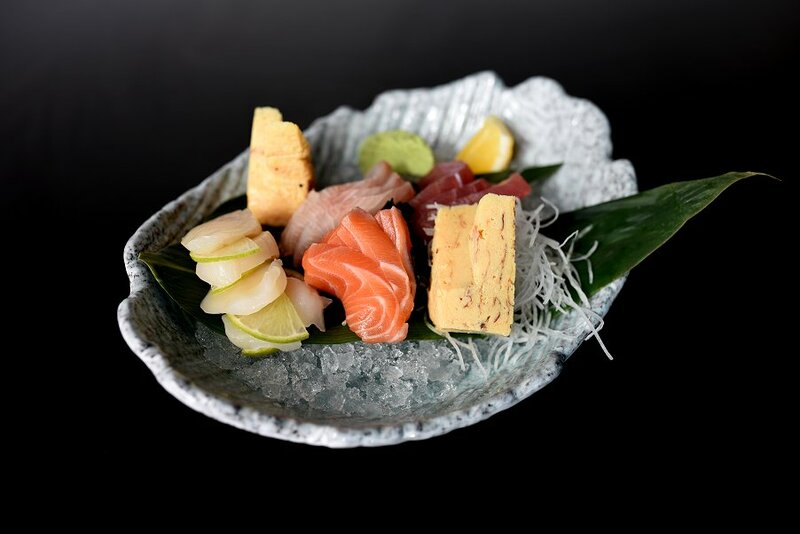 Nigiri is a type of sushi that is made with thin slices of raw meat usually fish. My favourite of the nigiri was the scallop nigiri; it had been seared and produced a subtle but delicious flavour. 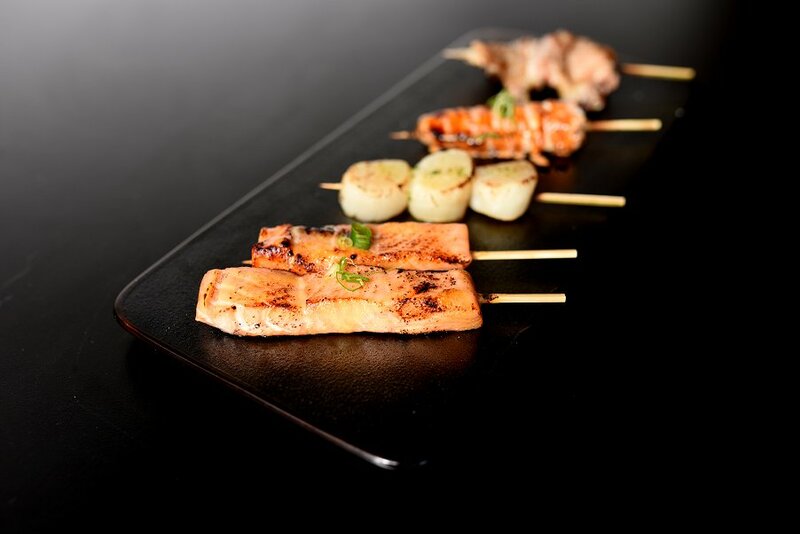 The last dish we tried was the Skewer Tasting Plate, including chicken, pork, salmon and scallops. My favourite part of this set was the delicious salmon. I am not a huge fan of cooked whole fish but the flavour this skewer had was sensational. The subtle sauce that coated the salmon, complimented the soft flavours. We would love to thank the helpful team at Sushi Planet Modbury as they went above and beyond to help to satisfy our every need. Sushi Planet Modbury is open from Sunday to Thursday 11.30am until 9.30pm and Friday and Saturday 11.30am until 10.30pm.